Check out RNE project partner Bristol Robotics Laboratory’s latest videos on immersive tele-operation for nuclear decommissioning and a time-lapse video showcasing the build of a mock-up nuclear facility scenario which will be used for benchmarking and testing our RNE robotics. Dr Farshad Arvin visited to study possibilities of using bio-inspired algorithms for applications in extreme environments. For example, honeybees’ social behaviour in finding the optimal zone in their hive could help robots find possible chemical leakages. RNE team members Barry Lennox and Keir Groves participated in ICRA 2018. 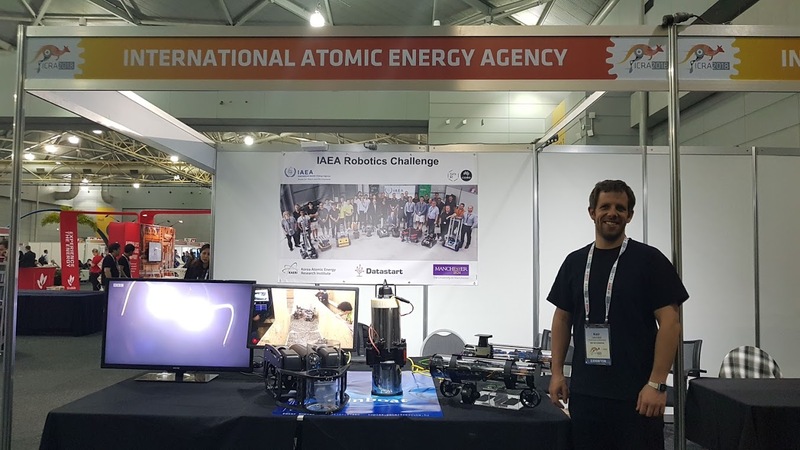 Keir Groves was supporting the IAEA stand at the conference as part of our on-going participation in the 2017 IAEA robotics challenge. Of 27 entrants into the challenge, MALLARD is one of the three systems that were found to be technically acceptable. The MALLARD system is presently undergoing design improvements ready for active field trials. Good luck and thanks to Lenka! 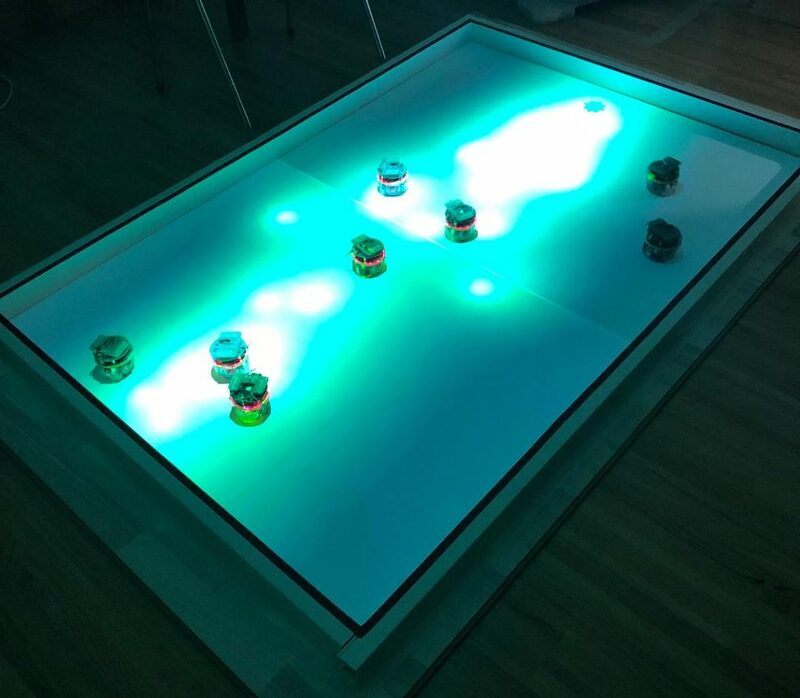 RNE team member Lenka Pitonakova has finished her simulation environment project for RNE and has moved to the University of Bristol as a research associate in applied mathematics and computer science. Check out Lenka’s work for RNE here and at TAROS 2018. Check out Lenka’s page here. 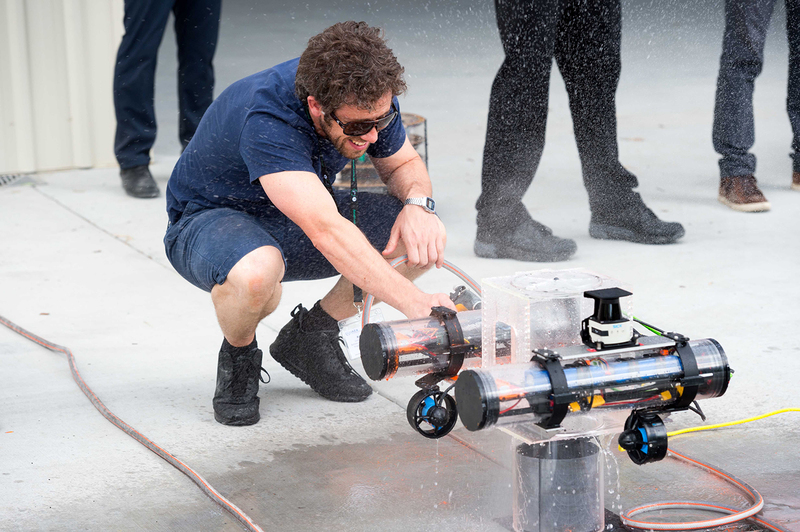 ‘Robotics for Extreme Environments’ Researchers Workshop, Summer 2018, Cumbria.